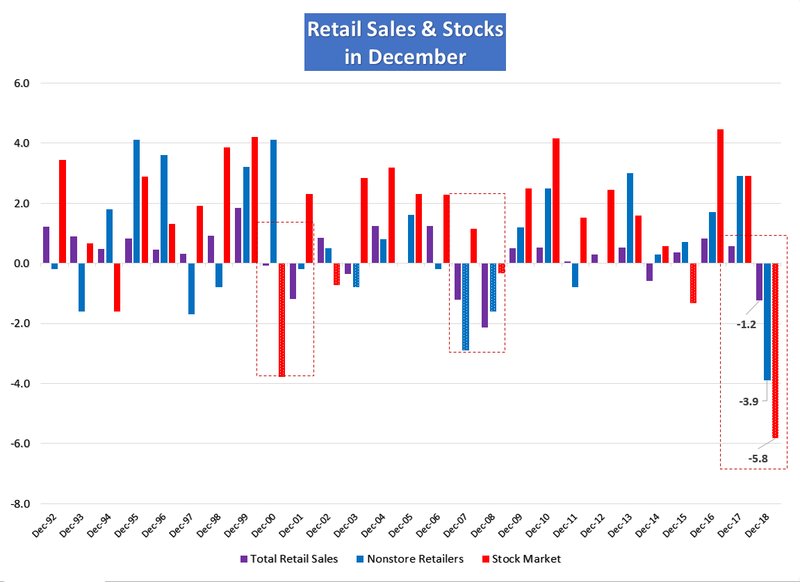 Retail sales declined significantly in December. Is recession looming? Retail sales fell -1.2% last month, the worst December of the economic expansion, online sales declined by -3.9%. CNBC, MarketWatch, Reuters, WSJ, NYT, and forecasters inferred and inked grim warnings about the contraction in consumer spending. I decided to take a closer look. Historically, when there’s palpable fear in the air, consumers tighten their belts. For example, during the great recession, when all news was shock and all, the personal savings rate doubled. Yes, it doubled from 3% to 6%. So, considering the -5.8% stock market decline in December, is it any wonder that consumers began monitoring their spending? Job’s Report Reversal or not?